BOOKING your 2GO Travel ticket is now as easy as 1-2-3. For more info, you may call us at (02) 528-7000. Get your Prepaid Sea Travel Card Now!!! Traveling through 2GO Travel is now easy for those are regular travelers of the sea. I would suggest you get the travel card for convenience. Call them with the numbers indicated above. 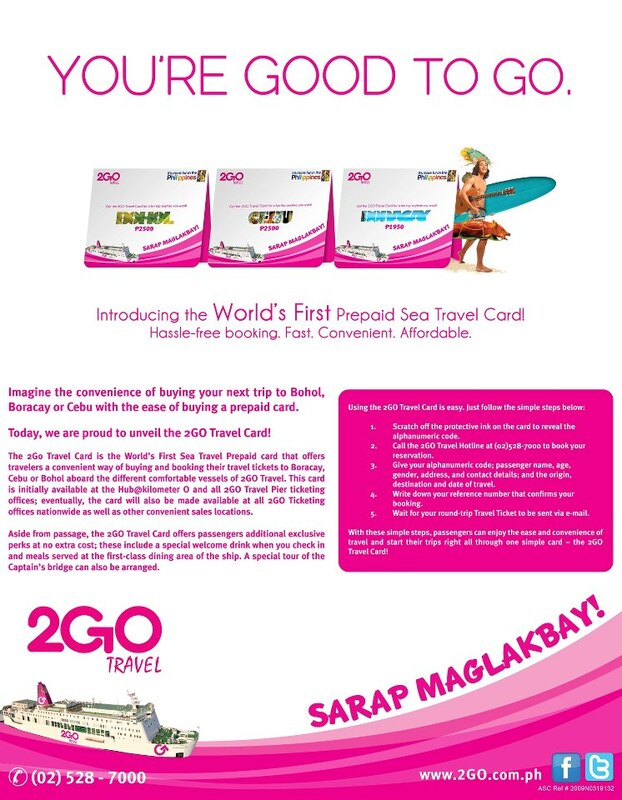 So if you are planning to sail to Boracay, Cebu or Manila, this Prepaid Seat Travel Card introduced by 2GO Travel is just right for you! Get one now! Inquire by calling through this number: (02) 528-7000.